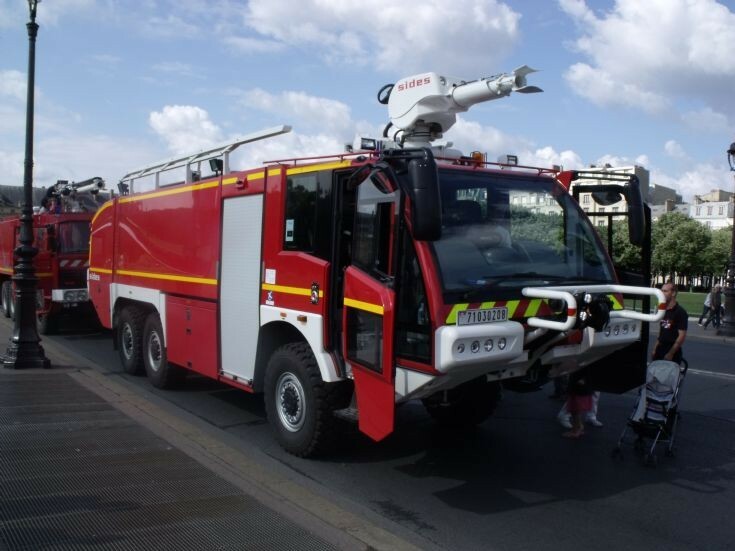 Fire Engines Photos - New french air force fire truck. New french air force fire truck. Seen here for Bastille Day 2011, this one is built by Man and Sides. Arnaud, you've posted an incredible set of beautiful photos from Bastille Day. It's almost like being in Paris for the parade! Merci bien! Added by Mike Feldman on 21 July 2011.